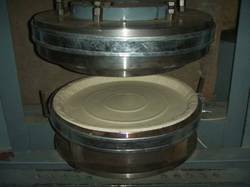 Leading Exporter of dona small plate & meal plate (thali) moulds, wrinkle dies, areca leaf mold for paper plate making machine and partition mold for paper plate making machine from Faridabad. Backed by years of experience and knowledge of this domain, we are manufacturing, exporting, supplying and trading a comprehensive array of high quality Paper Plate Making Moulds. Our team of experienced professionals has fabricated these molds in accordance with the industry laid standards and norms. We are offering these Paper Plate Making Moulds to the clients in various sizes, shapes and other specifications to meet their variegated demands. Diamond polish Done To Get Best Finishing. Sizes Available- 4 inch to 18 inch. every teeth of the die is grinded by hand filer, so there are no locks in the paper plates. maximum no. of plates can be made in one stroke. Our progressive approach to quality & precision have made us a prominent manufacturer and exporter of Areca Leaf Plate Mould. 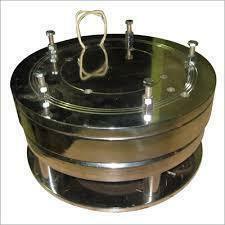 These moulds are extensively used for making papers. These moulds are designed at our unit using superlative materials that are procured from the certified vendors of the market. The provided Areca Leaf Plate Mould is differently sizes and shaped by us to provide a wide variety to the customers to choose from. 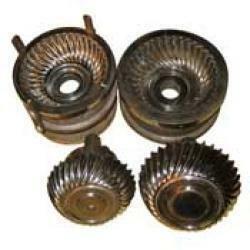 Heat proof heaters, heat produced by heaters is absorbed inside the die finishing to the paper plate. Every teeth of the dies are made by the hand hence there are no locks in paper plate. Dimond polish Done To Get Best Finishing. Available in 3 and 4 partition. Sizes Available 10 " , 11 ", 12 ". 13 ", 14 " , 15 ' Diemeter.